Medical Solutions releases two new video series aimed at helping educate traveling healthcare professionals with important issues that may arise before and during their assignments. The first series of videos is focused on housing related issues that travelers may encounter. The second series are video testimonials produced by traveling nurses and therapists, giving their perspective on being a traveling healthcare professional. Medical Solutions prides itself on being a resource for travelers and people interested in traveling. Medical Solutions, a leading national healthcare staffing company, launched two on-line video series this month, the first, “Housing Education Video Series with Jill & Kim,” educates traveling nurses and therapists on housing related issues they may encounter while on assignment, and the second, “On the Road: Our Travelers Stories,” is a video testimonial series created solely by its traveling staff. 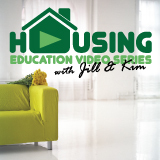 The “Housing Education Video Series with Jill & Kim” covers a number of topics that a traveling nurse or therapist may have as they prepare for their traveling assignments with Medical Solutions. Subjects included in the series thus far consist of everything from choosing between company provided housing or using the housing per diem, what to do if you want to travel with your pets and whether or not you can expect a washer and dryer in the company housing. 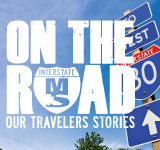 The launch of the second series of videos, “On the Road: Our Travelers Stories” are travel nurse, therapist and tech produced video testimonials, of which employees of Medical Solutions are asked to share their experiences out on the road. The testimonials give insight into the world of traveling healthcare and cover such topics as things to do while out on assignment and the importance of their relationship with their Career Consultant. This gives each potential traveler the opportunity to view the opinions from real travelers that they may not have had access to otherwise. The video series are part of Medical Solutions effort to continually provide important tools to support those thinking of starting a career as a traveling healthcare professional, as well as assist its current travelers. The new video testimonials and housing education videos represent one of many social media and new media projects planned or currently underway for the company. Medical Solutions, Inc. was one of the first travel nurse and allied healthcare staffing companies to be certified by the Joint Commission and has been continuously certified since 2004. Its focus is on meeting the urgent and short-term staffing needs of its clients with highly skilled allied health professionals, nurses and technologists. A nationwide network of travelers allows Medical Solutions to help its client hospitals continue to provide excellent patient care amidst a nursing and allied health shortage. Medical Solutions has contracts with nearly 1100 client hospitals nationwide and is one of the fastest growing companies in the travel nursing and allied health industry. Visit Staffing.MedicalSolutions.com or MedicalSolutions.com to learn more.